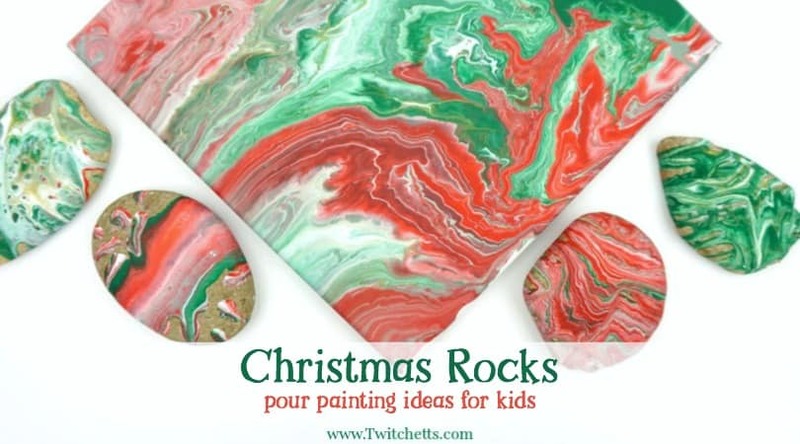 Your kids can create these amazing acrylic poured Christmas ornaments. 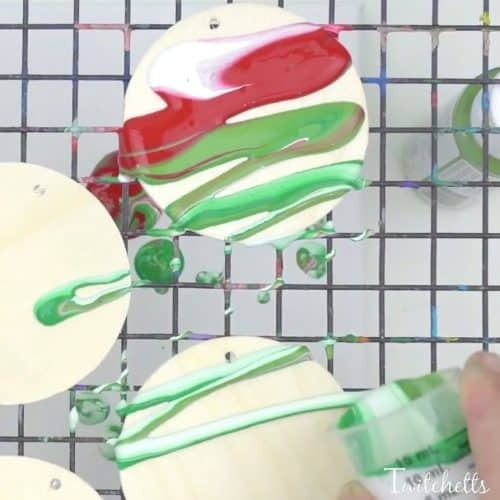 Because pour painting is so unique, each ornament will be unique and amazing! 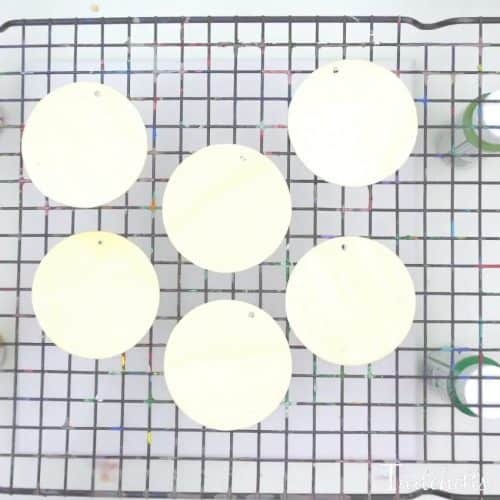 We use a simple and inexpensive additive to the paint so that you use less and still get amazing results. 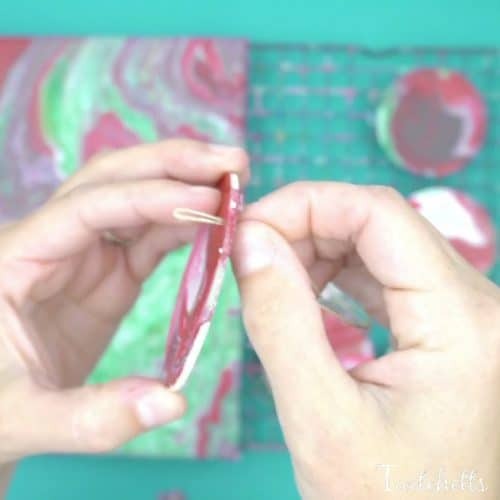 We are so excited to share this fun technique with you! 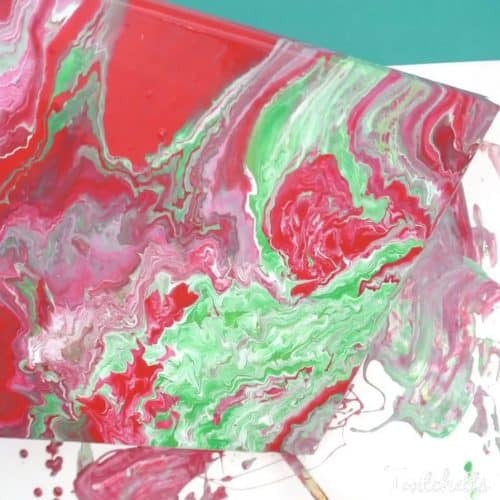 This is just the first of many fun pour painting for kids projects, also known as fluid painting, we will be creating. Our technique keeps kids in mind. We use a simple and inexpensive additive to the paint so that you use less and still get amazing results. 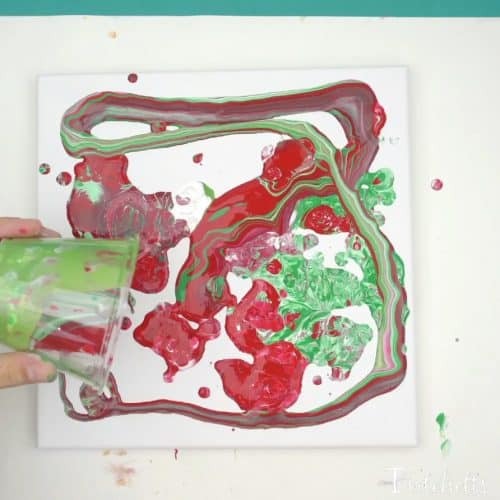 It’s messy, but fun and kids will love this fun process art technique. Canvas. 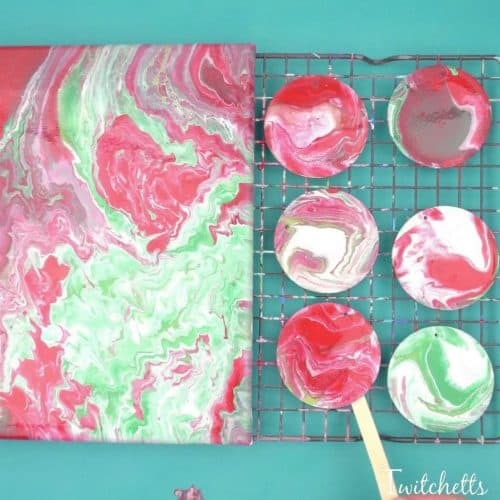 Optional, but a great way to use up your extra paint! Hemp. Or any kind of string. 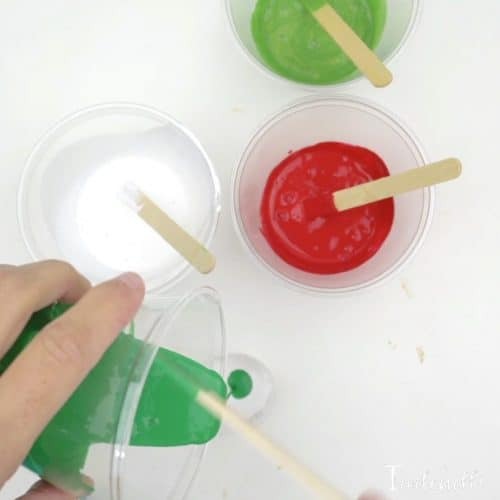 Check out the step by step instructions for these poured Christmas ornaments and then watch it all in action in the video below. Start by prepping your paint. The key to keeping the colors from all blending together is having a thickening agent. They sell some of these at the store, but we have created one that will save you some money, and maybe a trip to the store. Just mix 2 parts white glue with 1 part water. 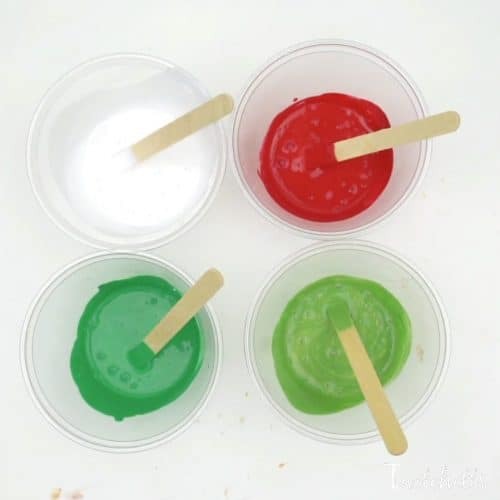 Then prepare your paints by mixing 1 part of your thickening agent to 1 part paint. We created 6 ornaments and an 8×8 canvas all from 4T of paint. Once your paints are mixed it’s time to stack them in your small cup (a medicine cup works great!). Just go back and forth between paint colors. Related Project: This technique looks amazing on rocks! 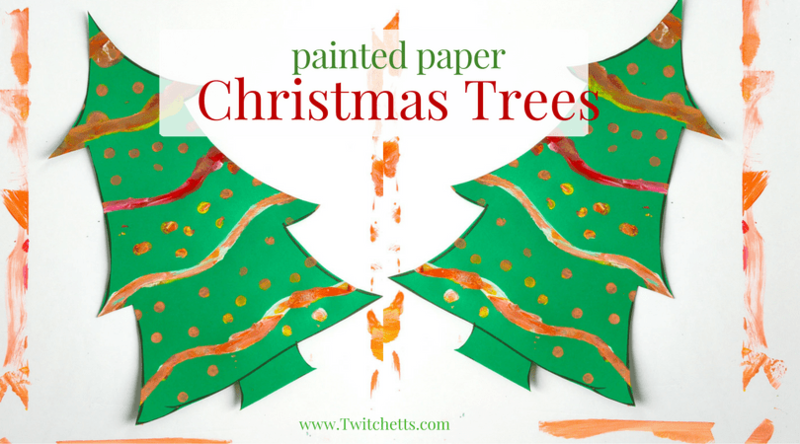 Lay your ornaments on a drying rack, if you’re creating a canvas, slide it underneath to catch the paint. 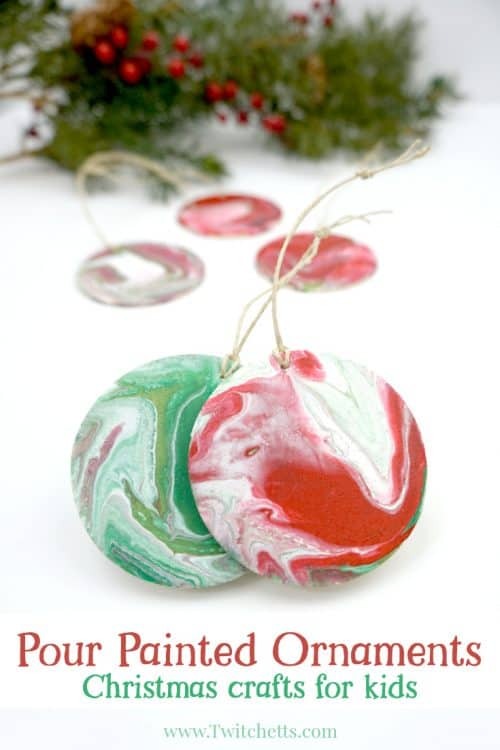 Now pour the paint onto the ornaments! When you have a good amount of paint on each ornament you can tilt the whole rack to spread the paint around until the whole ornament is covered. Use the remaining paint on the canvas. Tilt each direction until it is covered. 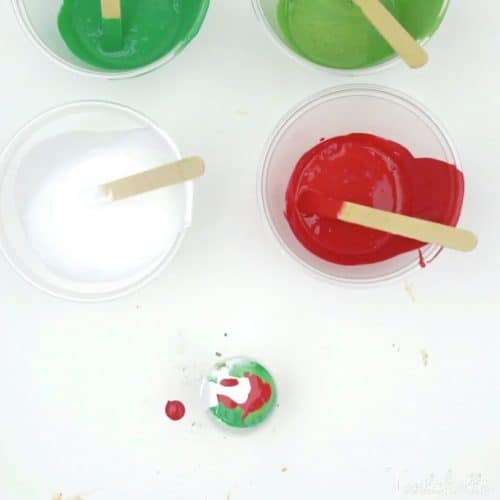 Insert a toothpick into the hole of each ornament while they dry. 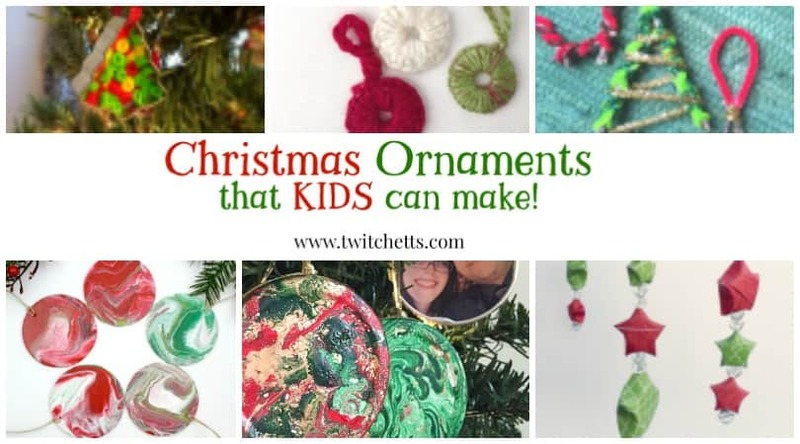 Related Crafts: Don’t miss any of these fun ornaments that kids can make! 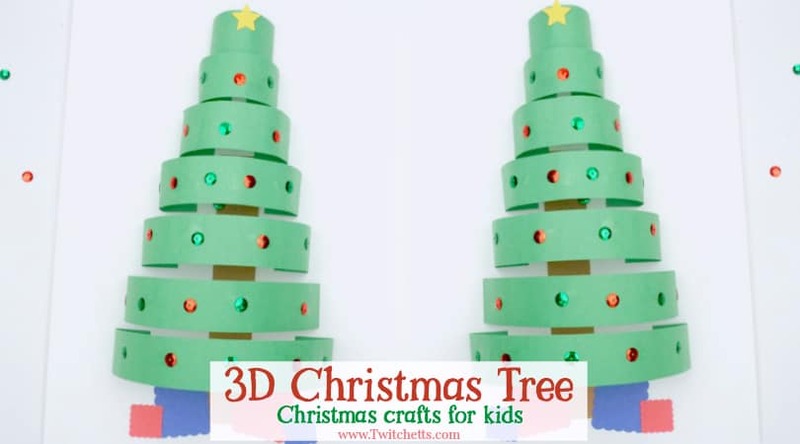 Tip: Use a craft stick to move the poured Christmas ornaments around a bit so they don’t get stuck to the rack. 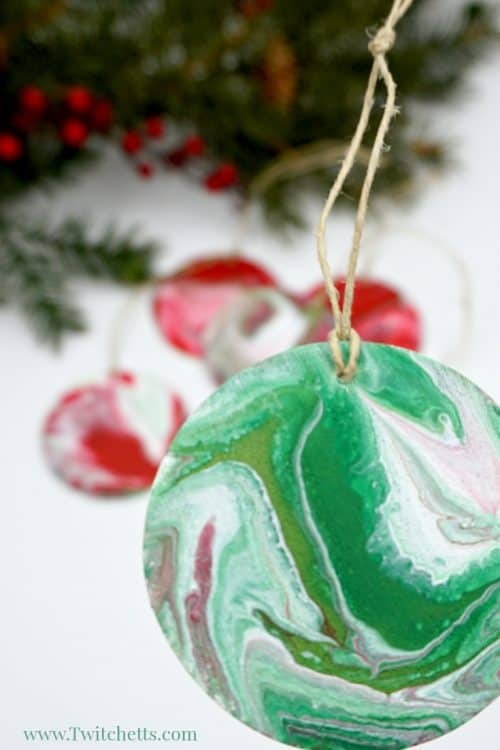 Once the marbled ornaments are dry, remove the toothpicks and add string. 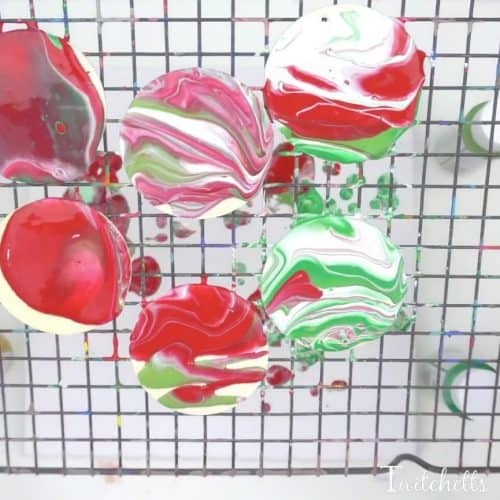 See this mesmerizing process art in action! 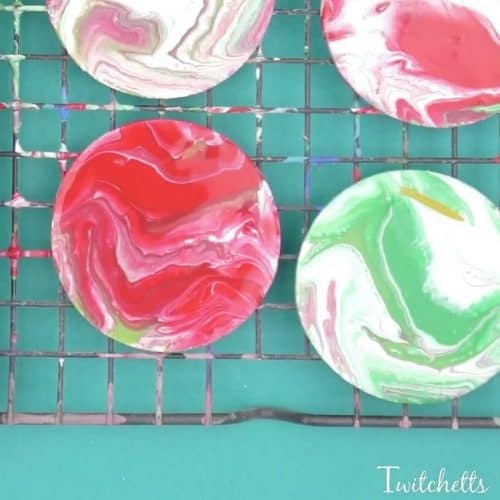 These poured Christmas ornaments will make excellent gifts that your little ones will be proud to hand out! 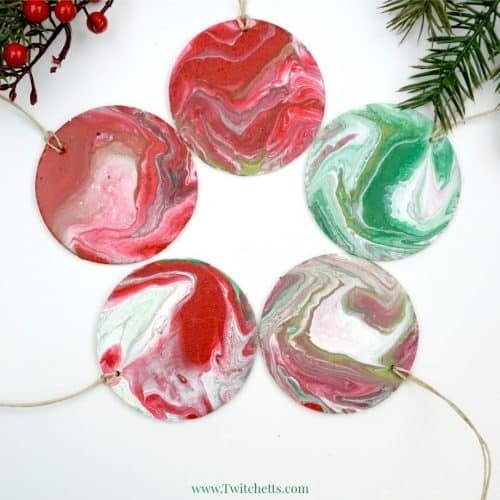 Pin this handmade Christmas ornament to your favorite Pinterest board.